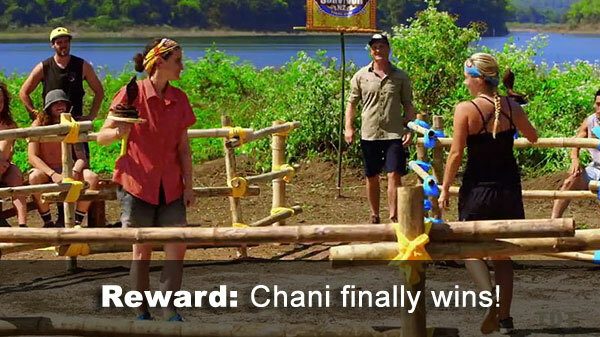 Ep.3 Reward challenge: "Idol Hands" - Chani finally wins something (fishing gear), 10-3. 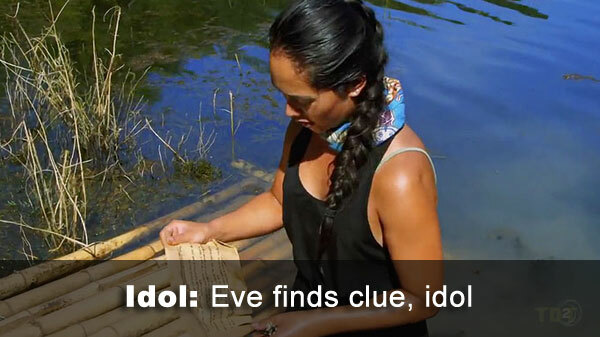 Ep.3 idol: Eve finds the clue in the fishing gear, shares it with the tribe, eventually (publicly) finds the idol. 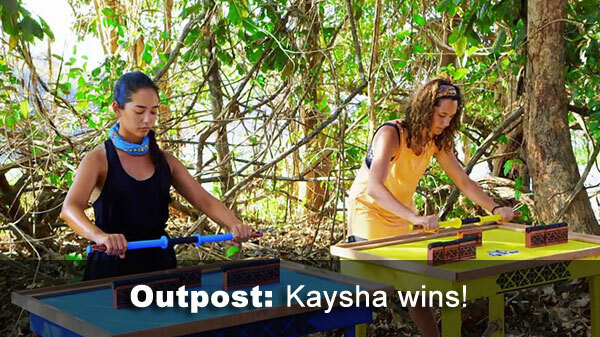 Ep.3 Outpost: "The Ball Drop" - Kaysha beats Eve, gets a bunch of sweets and soda for herself. Nobody believes her. 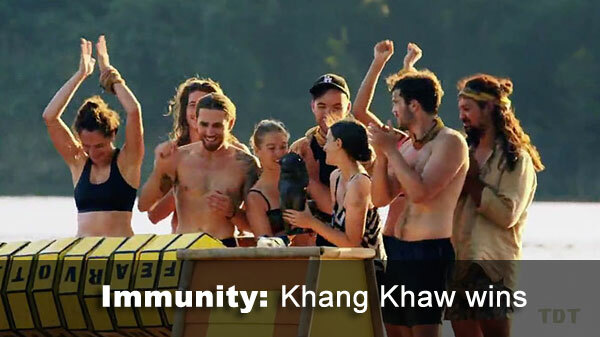 Ep.3 Immunity challenge: "Deep In Thought" - Khang Khaw solves their puzzle before Chani even gets their 3rd/9 letter. Ep.3 voted out: Franky, 6-1 over Eve. Notes: Participation rules in the IC seemed fairly lax, since Khang Khaw had just three people retrieve puzzle pieces and two work the puzzle. Tara and Kaysha didn't really seem to do much, but did not officially sit out. 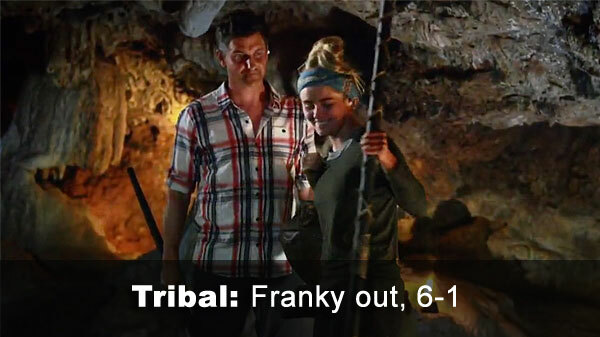 - Franky received 6 votes, from Arun, Dave, Eve, JT, Liam, and Renee (voted out, 6-1). - Eve received 1 vote, from Franky.